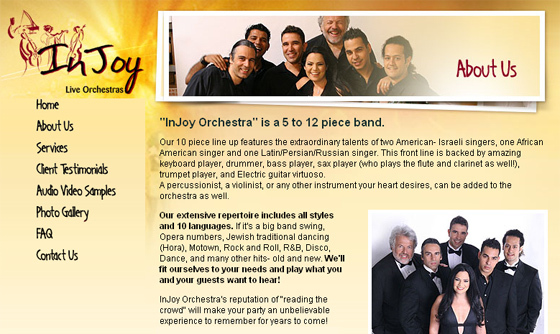 InJoy orchestra makes every event a spectacular event! 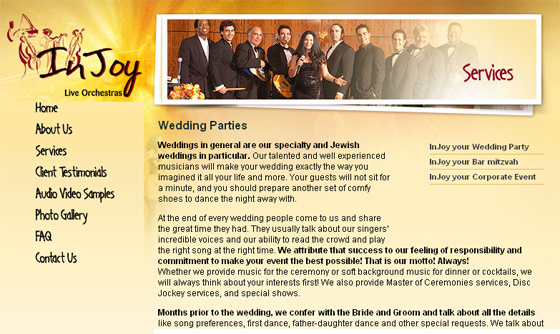 A 5-12 piece band that will make any event come alive. 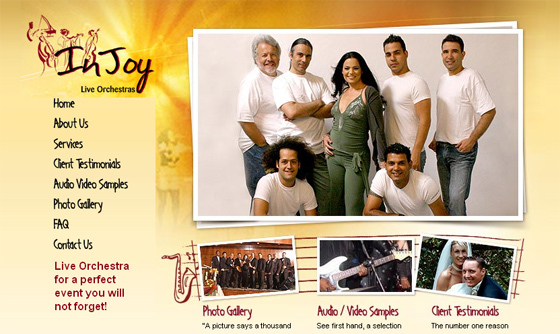 IBCnet makes their website comes alive over the web with creative online communicative design and live samples. HTML, DHTML, CSS, Flash, and Java.